Fawkes Academy – Imagine, Believe, Achieve. Where every child is unique, every child is valued, and every child can learn. We believe in enabling each student to achieve to the fullest extent of his or her abilities. The mission of Fawkes Academy is to provide individualized educational programs for children and adolescents with autism spectrum disorder, other complex developmental disabilities, or different learning needs. Our philosophy is that every child is unique, every child is valued, and every child can learn. We believe that effective and efficient teaching and behaviour management, provided by skilled individuals, will enable each student to achieve to the fullest extent of his or her abilities. The Fawkes Academy operates under the GABA Children’s Society, a non-profit registered charity committed to supporting the provision of intensive applied behaviour analysis (ABA) to educate children and youth with autism spectrum disorders or other complex developmental disabilities. The goal for all students is to communicate effectively with adults and peers, to acquire skills to increase their independence, to interact appropriately with others at school, at home, and in their community, and to enjoy their learning experiences. Fawkes uses effective, scientifically validated instruction to maximize the development of language and communication, social, academic, and independent living skills. The staff includes certified teachers with experience in special education, Board Certified Behaviour Analysts, and interventionists trained in applied behaviour analysis (ABA). 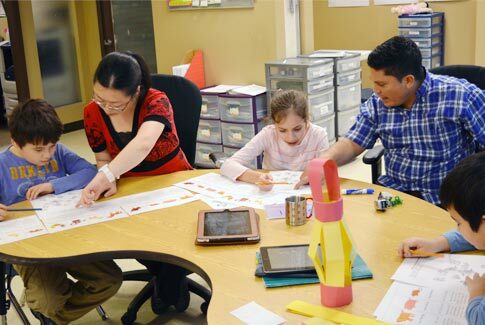 Students participate in one to one instruction at their level as well as in small group activities that help them generalize the skills that are taught. Each child is viewed as individual with unique strengths and specific areas of weakness. Parent involvement in each child’s education is important. Fawkes programs are available in several locations and through distance learning. Each location has something different to offer based on age and need. Here are a few of the upcoming events happening at the Fawkes Academy.